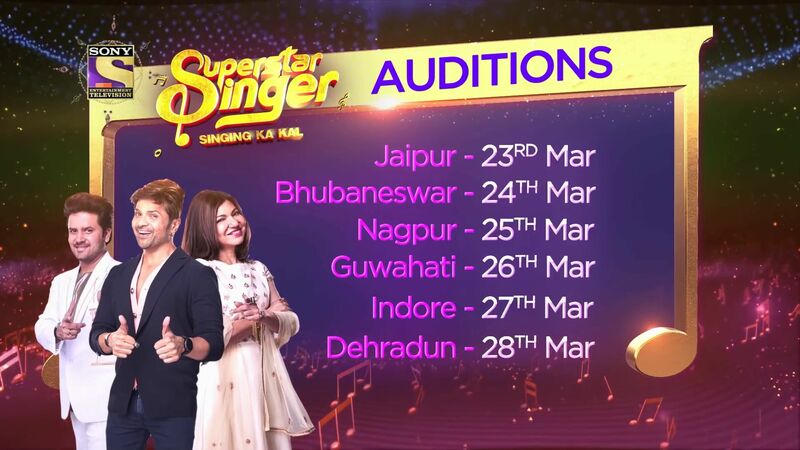 After roaring success of the Super Dancer, Sony Entertainment Television brings an enthralling singing show ‘Superstar Singer’, giving opportunity to young singing candidates under the age of 15 years who aspire to make it big in the industry. Opening its doors to the new generation of young singers, who dream of making it BIG on the small screen, Superstar Singers started off its multi-city auditions for the first season with auditions held in Delhi. The city participated whole heartedly and auditions witnessed great enthusiasm of aspirants in huge numbers who put their best skills to play and showcased their musical talent. Superstar Singer will see the new and exciting trio at the judging panel – Himesh Reshammiya, Alka Yagnik and Javed Ali. This is the first time these singers will be seen together on screen as judges. Once selected, the judges will guide, nurture, mentor and introduce these young singers and prepare them for the coveted title. The next auditions will be held in Mumbai on April 21, 2019. Total number of participants at Delhi 946.